Today is Mardi Gras or Fat Tuesday (or huesday as we like to call it). Time to eat, drink, and be colorful. Can’t make it to New Orleans? You can still celebrate in spirit by just adding lots of spice and color to your life. 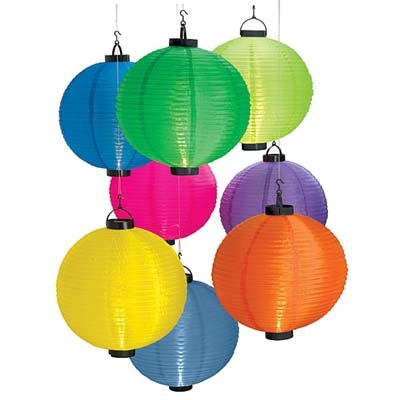 Break out the colorful beads and decorate with these cute lanterns in an array of colors that can be re-used for just about any holiday. I am going to re-purpose the pink one in my daughters room. If you are cooking, it’s a great time to sample the food that surrounds the tradition. Which brings me to a confession. Although I love to eat, I don’t love to cook. Baking is a different story. I can make chocolate chip cookie dough with my eyes closed, but cooking is not my thing. If something I make is a bit on the well-done side (burned) I jokingly try to pass it off as Cajun style: Cajun toast, Cajun hard boiled eggs (tip: don’t leave eggs boiling while watching a riveting soap opera). No offense Louisiana, Cajun food is one of my favorites. Since Cajun food is a part of the Mardi Gras tradition, today would be the best possible day for me to cook something, right? Hmmm. Maybe not. My husband and I love spicy food. I have my limits but he can handle serious levels of spicy. He also is a great cook, which is lucky for me. Tobasco has some great recipes for Seafood Gumbo and Jambalaya. Those words just sound fun don’t they? Cool off the spice with a Pat O’Brien Hurricane. This comes in a handy mix you can grab from BevMo. Just in case you don’t want to become too “colorful” it makes an excellent non-alcoholic cocktail as well.